Sometimes finding a great new job is made possible through a connection. We know remarkable healthcare professionals are out there and that you know them the best. Refer them to Aureus Medical and earn yourself a bonus! It’s quick and easy. Here’s how. 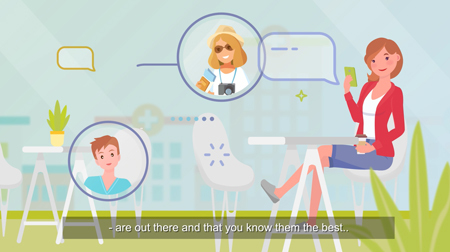 Talk with your connections about Aureus Medical – your friends, co-workers, and those in your social network. Are they interested in traveling the country as a healthcare professional or in a new full time position? Complete our referral form available on our website. It takes less than a minute. We’re looking for healthcare professionals in all of our specialty areas – nursing, skilled nursing, allied health fields, advanced practice, and physicians. After you make your referral, we’ll contact them! Once your referral has been interviewed and placed by Aureus you’ll qualify for your bonus. You’ll receive it when they have completed their first 200 hours on assignment or worked 90 days in a direct hire position. Make as many referrals as you’d like. There’s no limit! Want to spread the word about opportunities in exciting places? Share our available jobs from our website through social media. It may just peak someone’s interest. A referral is a great way to help a friend find a job and earn a bonus for yourself at the same time. Contact Aureus today!